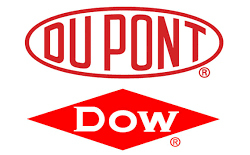 Brussels-headquartered European Commission, which is the European Union’s antitrust watchdog, is investigating the proposed merger of Dow Chemical and DuPont Co, to assess whether it is in line with the EU Merger Regulation. The Commission will investigate further whether the deal may reduce competition in areas such as crop protection, seeds and certain petrochemicals. The proposed merger, disclosed in December 2015 http://www.plasticsandrubberasia.com/dec2015/company8.html,would unite the two giants with a combined market cap of roughly US$130 billion, before splitting into three separate companies: focusing on agriculture, material sciences including plastics, and speciality products such as nutrition. The proposed merger between the US-based companies will create the world's largest integrated crop protection and seeds company and the EU is particularly interested in the seeds and other products made by the merger of the agricultural divisions. It would combine two competitors with leading herbicides and insecticides portfolios and with a strong track record of bringing innovative crop protection and seeds products to the market. Dow and DuPont are also strong suppliers of speciality polyolefins, widely used in packaging and adhesive applications. The Commission is investigating the effect of eliminating one competitor and creating new vertical links in these concentrated markets. On 20 July 2016, Dow and DuPont submitted commitments to address some of the Commission’s preliminary concerns. However, the Commission considered these commitments insufficient to clearly dismiss its serious doubts as to the transaction's compatibility with the EU Merger Regulation. The companies, which had recently received shareholders’ approval of the companies’ historic merger, say they had anticipated a thorough review by regulators and still expect the deal would close by the end of this year. Antitrust inquiries are common in Brussels for large merger reviews and do not necessarily mean a deal will be blocked. If the EU confirms its concerns, the companies can sell assets or make other adjustments to assuage regulators. A final EU decision is expected by 20 December. Given the scale of the two companies, the Commission said it is “cooperating closely” with competition authorities in the US, Brazil and Canada that are also scrutinising the deal.